Can a Cavity Be Left Without a Filling? Typically, when a tooth develops a cavity, the dentist removes the decay and replaces it with a filling. But does that tooth need to have a filling in it? Most of the time, the answer is yes. The only way to keep the tooth’s integrity in place is by putting a filling where dense tooth once was. However, there are occasional circumstances where a filling really isn’t necessary. Some cavities are very easy to spot at a very early stage. This means the dentist was able to see the spot of decay on your tooth as it was just starting to form, and rid your mouth of the decaying tissue. If the resulting hole in your tooth is quite small, you may not need a filling. Teeth do regenerate to some degree, much like a broken bone. It will fill back in some of the area on its own, provided that area is kept clean and doesn’t begin to decay again. 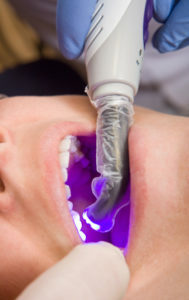 If you were incredibly lucky and found your cavity when it was just beginning to cause damage, you may also be lucky enough to be able to avoid the subsequent filling. Talk to your dentist about their filling policies at your next appointment. They may have a minimum size in order to put a filling in, or your dentist may believe that all cavities should be filled. They will be able to explain to you what they normally do, and why. You can also find out at that time if there are any exceptions, and see if you have any cavities that fit into those exceptions. Don’t be afraid to ask questions by contacting our office today. They like you knowing about your care, and welcome all the questions you may have. What Happens When We Notice Signs of Problems During an Exam? © 2019 Idaho Family Dental.